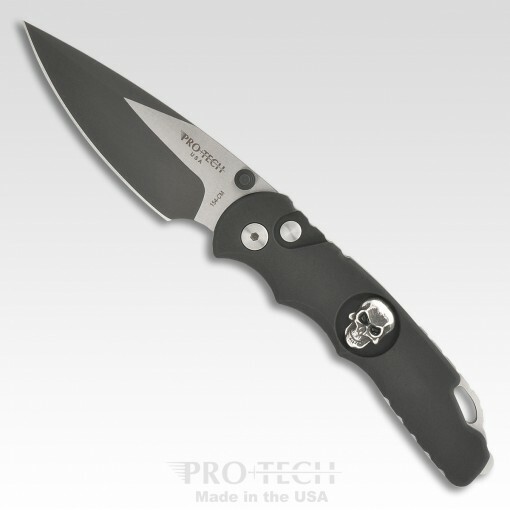 Black handle, awesome 2-tone black/satin blade, sterling silver Shaw Skull inlay. Individually serial numbered. Our TR-5 Spring Assist has the power and speed of a Pro-Tech coil fired auto knife – but in a Spring Assist that is legal to carry more places! Spring Assist – Button Lock – Patented Matthew Lerch mechanism! 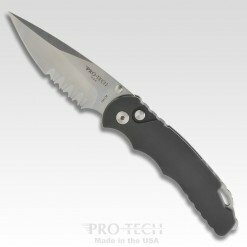 Stylistically a smaller version of our TR-4 knife – the TR-5 is feature packed with a deep carry pocket clip, hardened 416 skull crusher/glass breaker, and is a fantastic every day carry! 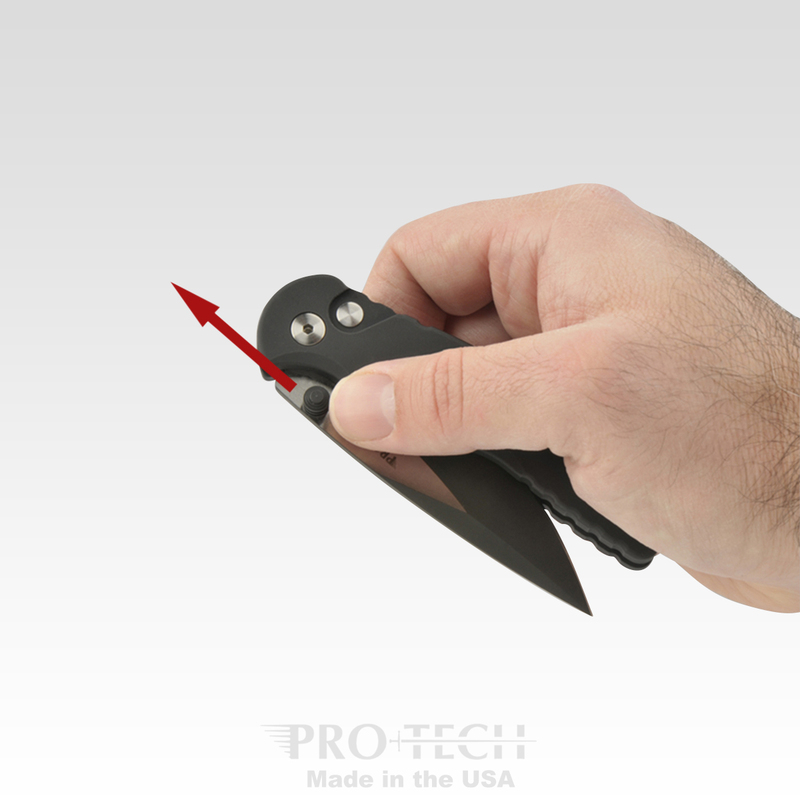 To open you have to push the thumb stud FORWARD (not out to the side) – once you get the knife started – our powerful coil spring snaps it out the rest of the way. To unlock and close – push the button and fold the knife towards the closed position. 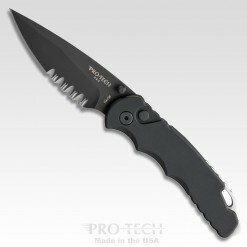 About ¾ of the way back you will feel some resistance (this is normal) just push past the detent and make sure the blade is all the way back into the frame. The detent is strong – and keeps the blade securely locked away until you are ready to deploy it again.